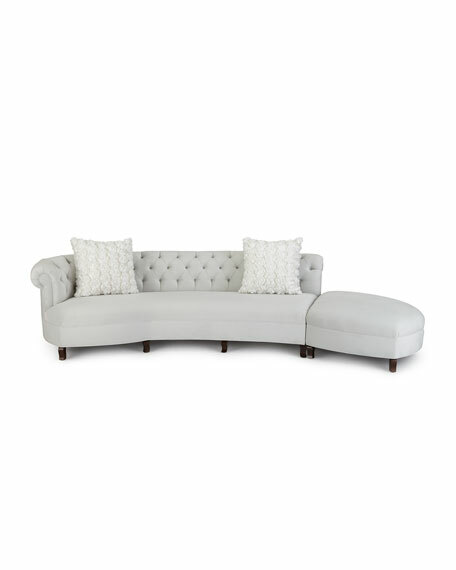 Haute House Evelyn Sectional Sofa 140"
Sofa has alder wood frame and polyester upholstery. 140"W x 55.5"D x 32"T; seat, 128"W x 18"D x 18"T.
Boxed weight, approximately 512 lbs. Old Hickory Tannery Bryson Hairhide Sofa 86"